PlayStation Underground is back, and this time its staff members have their hands on Tetris Effect for the PlayStation VR. The game doesn’t require PSVR, but it does support this Sony add-on. In addition to playing the more standard modes, the team took on Mystery Mode and were surprised, horrified, and enthralled by the experience. In Tetris Effect, there are a variety of playlists to choose from, so you can select exactly what you’re in the mood for. Specifically, the team tried out Mystery Mode, which features surprise conditions such as fractured blocks that were missing cubes, and giant blocks that took up most of the screen. Additionally, diamond bombs and cross-bomb added gaping holes to the stack of blocks. All of this and more kept the team members guessing as their entire understanding of Tetris was flipped on its head. There are plenty of more traditional experiences in Tetris Effect. 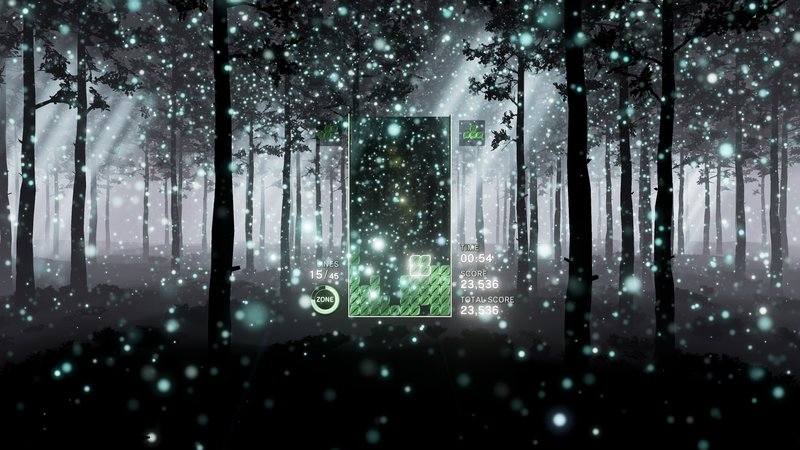 In general, this title aims to create a lush experience for players by blending visuals with music. Its new Zone mechanic is the main deviation from this arcade classic. With Zone, you can slow down time, giving you more control over where your pieces are landing. This helps you fix your errors if you’re falling behind or just rack up more points if you’re doing well. You can check out Tetris Effect yourself when the limited time demo launches on November 1, 2018. The complete game releases on November 9, 2018 for the PlayStation 4.